Though Bollywood beauties would have you think that skimpy is “in,” dressing conservatively as a female traveler in India is the way to go. 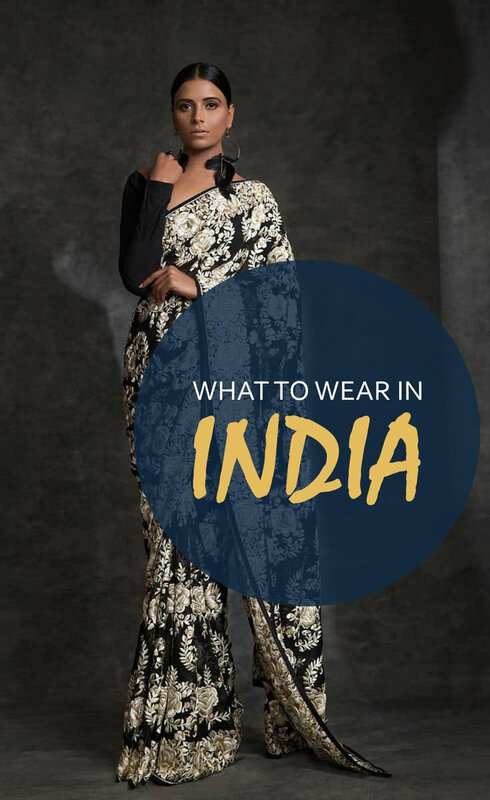 Here are some ideas on what to wear in India during your travels to help you fit in—and to help you know when to dress up, down, conservatively or relaxed. ** Want to visit India? Check out our tours on the WanderTours site. In the larger cities (Delhi, Bombay, Bangalore) and areas where there are hoards of tourists (Goa, Kerala, Agra), you can generally get away with less conservative clothing. This means that you can bare your shoulders and knees but not much more than that. No matter where you are, you’ll receive lots of attention in spaghetti straps and short shorts. Bathing suits are obviously okay at the beach, but be aware that while you’re sunbathing there may be lines of Indian men leering at you from the palm trees. In small villages, holy sites and any destination that sees even moderate tourism, dress conservatively. Never wear shorts or a short skirt. Capris are okay, as are skirts that fall below the knees. Keep your shoulders covered, either by wearing a shirt with sleeves or by draping a shawl around you—even in the heat. Don’t let the fact that you can see lots of bellies through the gaps in a sari fool you into thinking that showing some skin is okay in conservative areas. It’s not. Wear one set of comfortable clothes and leave lots of room in your luggage to go shopping when you arrive (do I have to twist your arm?). Any city that you fly into on an international flight will have a range of clothing stores—from traditional Indian shops like FabIndia, where you can buy kurtas, a salwar kameez outfit and scarves, to more modern malls with jeans and western-style clothes using fabulous Indian fabrics. It’s far cheaper than shopping at home and you can always leave them behind if they don’t suit your tastes at home. Buy a scarf or shoulder wrap and wear it, always. Not only are these beautiful but they will help you to blend in, they’ll keep you warm and they’ll spruce up any outfit! I’ve taken to wearing my Indian scarves at home every chance I get. Ugh. 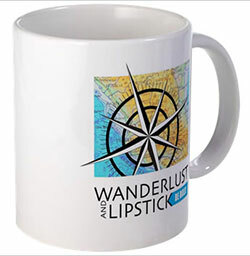 This is every Wandergal’s conundrum. I never travel with more than two pairs. I generally wear a nice pair for the flight and will wear these when I go out to a more upscale restaurant. I then wear a pair of leather sandals for every day use. A leather style is nicer than a sport sandal and may help you to feel less like a backpacker – even if you are one! You can even wear socks if it’s cool out – all the women do this so you won’t look like a outcast. Want to learn more about India? How about this list of facts about this interesting country!